WHERE is Smiley Raft House? 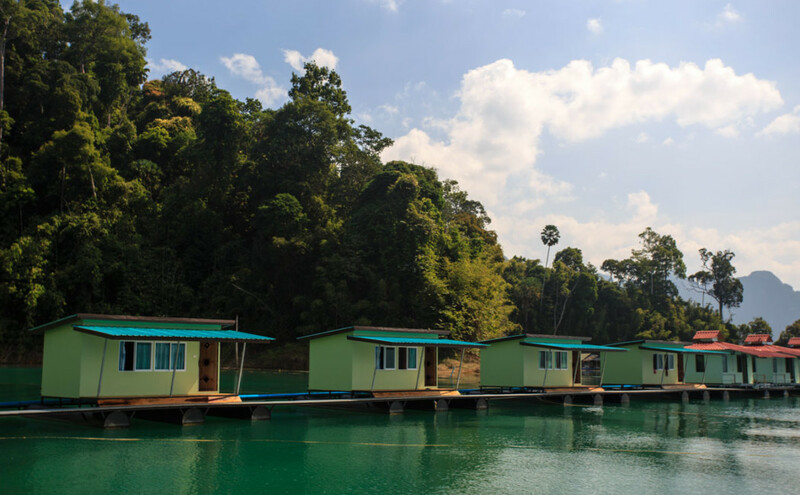 Smiley Raft House is situated at the entrance to Klong Pey and are locally owned and operated by one of Khao Sok’s oldest families. 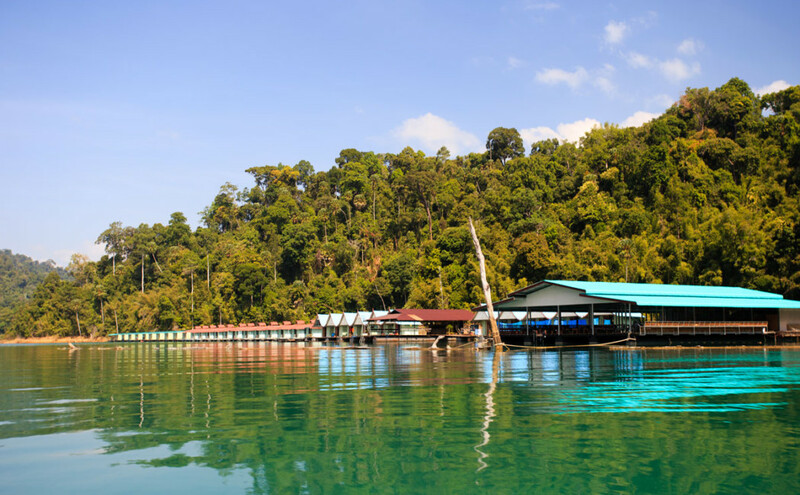 They also have a hotel in Khao Sok if you are interested in land-based accommodations on the other side of the national park. 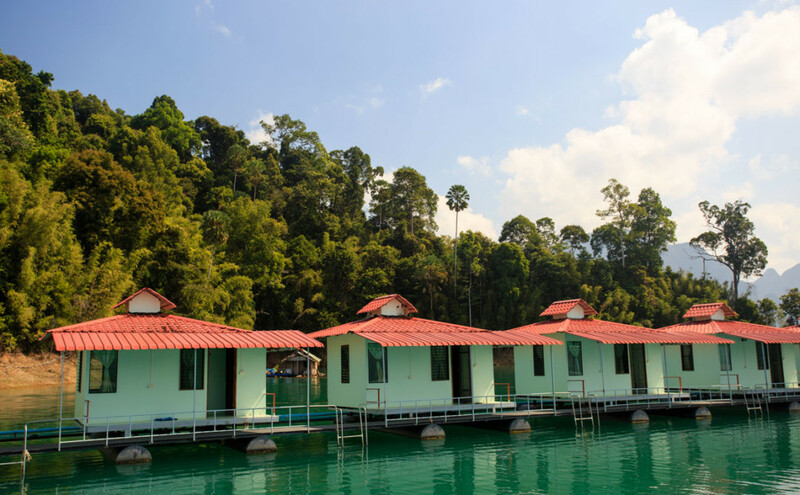 Smiley Raft House features modern bungalows, most with private bathrooms and a restaurant featuring traditional Thai cuisine cooked to order. The friendly staff here are accustomed to foreign travelers making it a favorite for back packers. This does mean it can get a bit noisy sometimes, but the atmosphere is always fun and friendly. It is close to the Nam Talu Cave, Viewpoint Hike, and the Bang Hoy Waterfall. The larger rooms at Smiley can accommodate up to 4 people making it a great place for families or bigger groups traveling together. 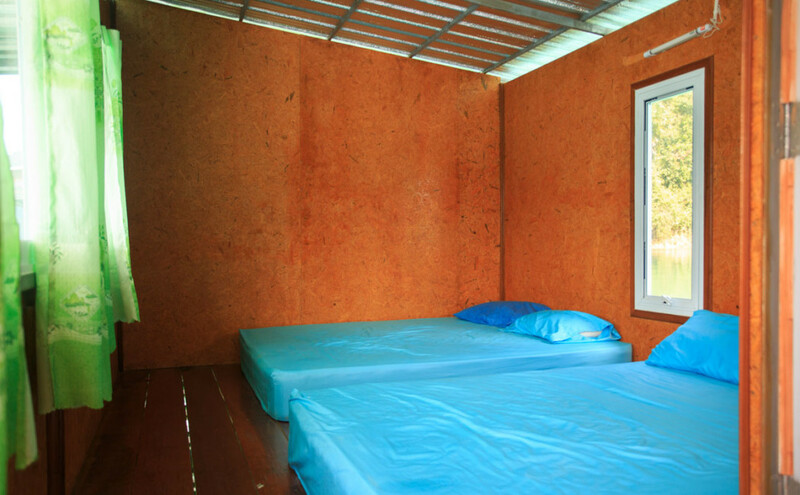 The rooms at Smiley were just newly added this January, making them a nice and comfortable modern option for travelers. These bungalows are sometimes booked for Modern Comforts experiences, especially for younger travelers who enjoy the backpacker atmosphere. We are also more than happy to arrange for a private tour. Nestled in a private alcove, Chiew Lan Raft House is one of the lake's most popular destinations. 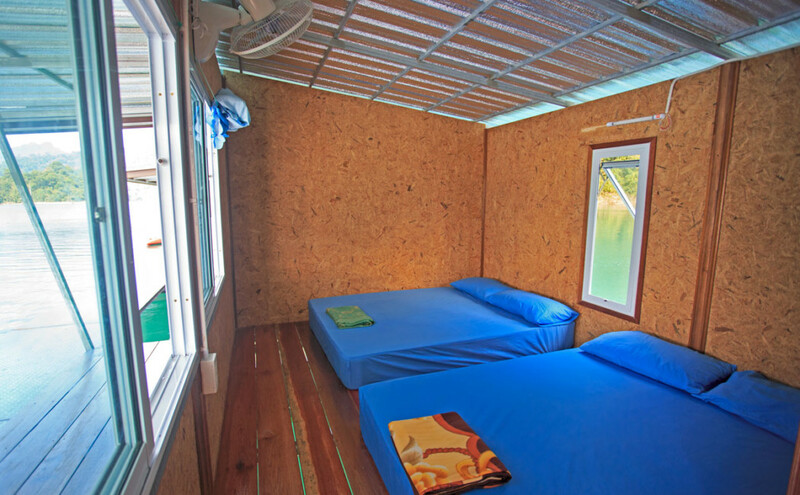 Rustic yet charming and close to the coral cave, it is a popular destination for both locals and foreigners alike.